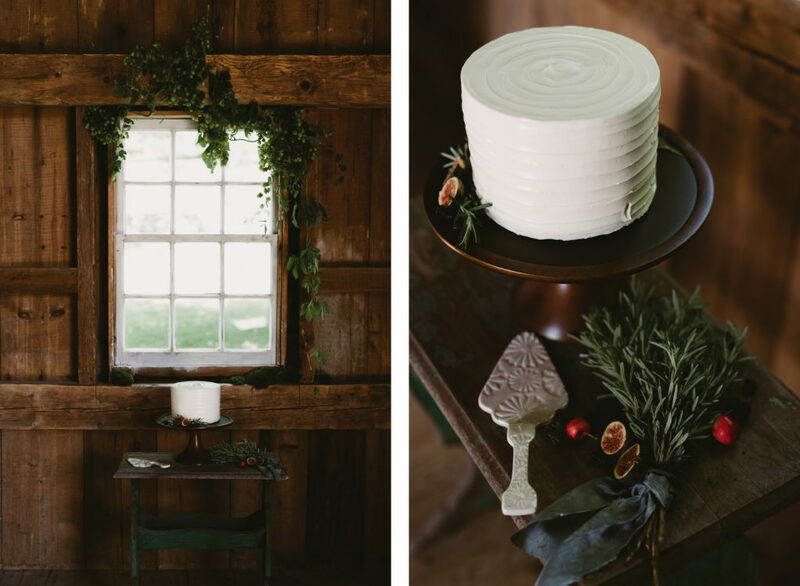 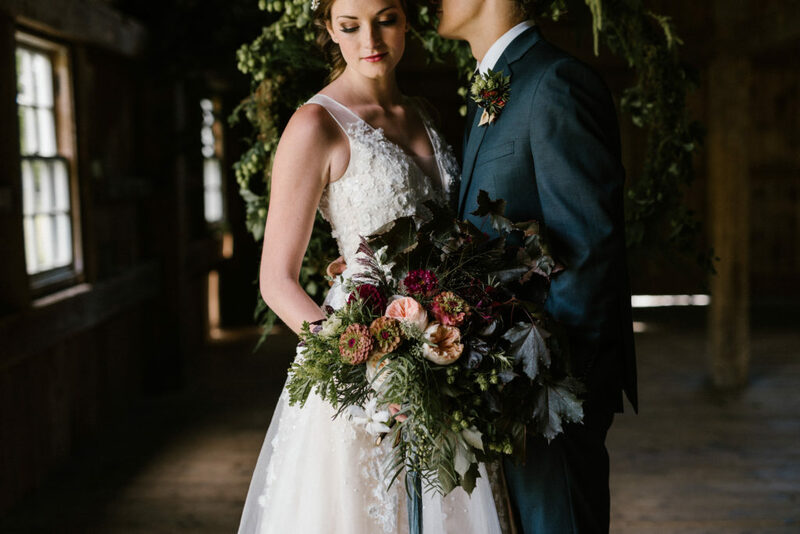 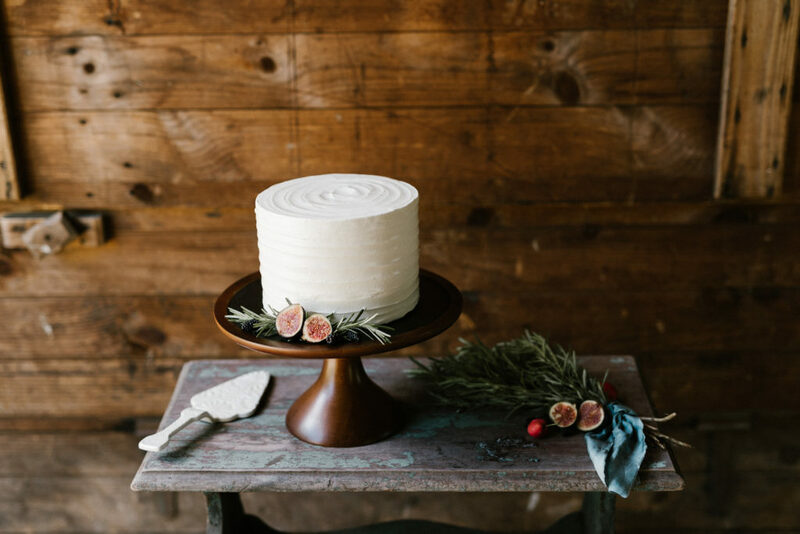 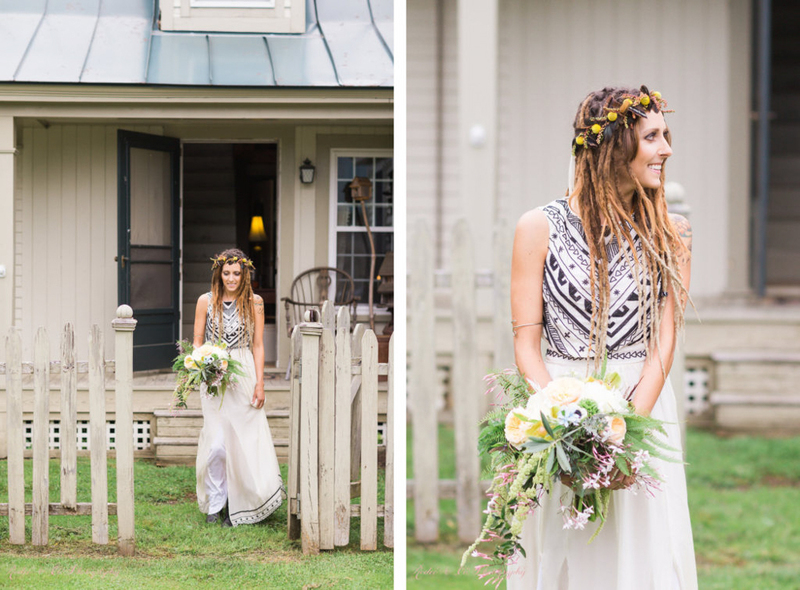 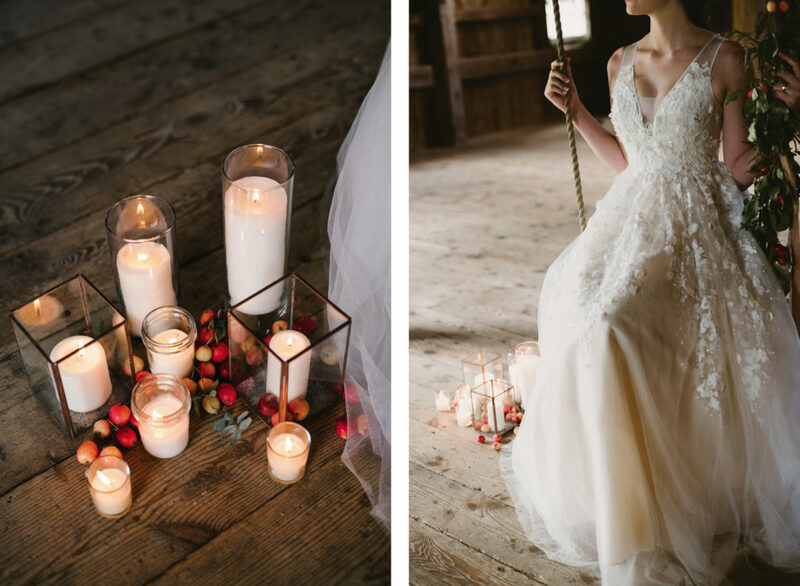 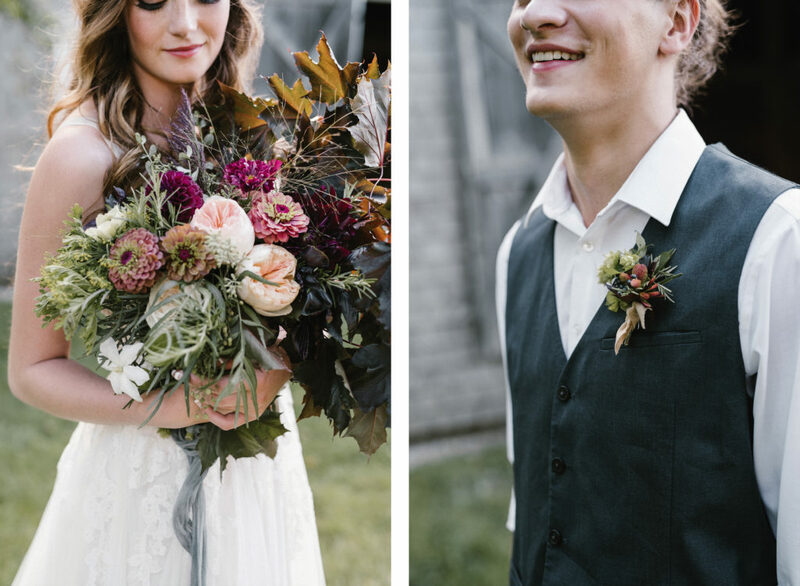 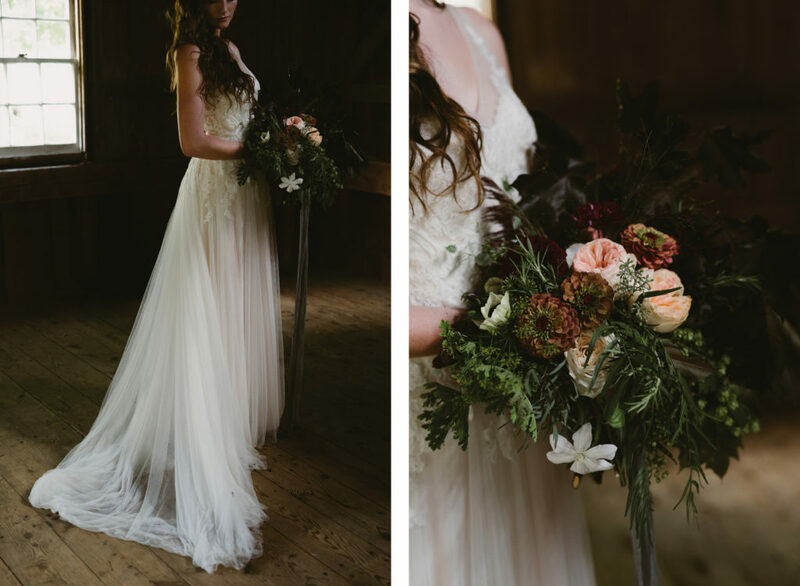 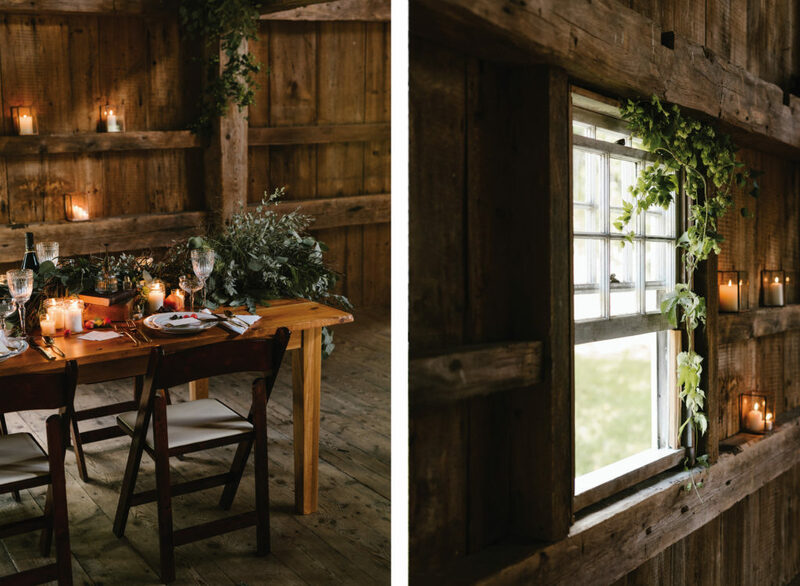 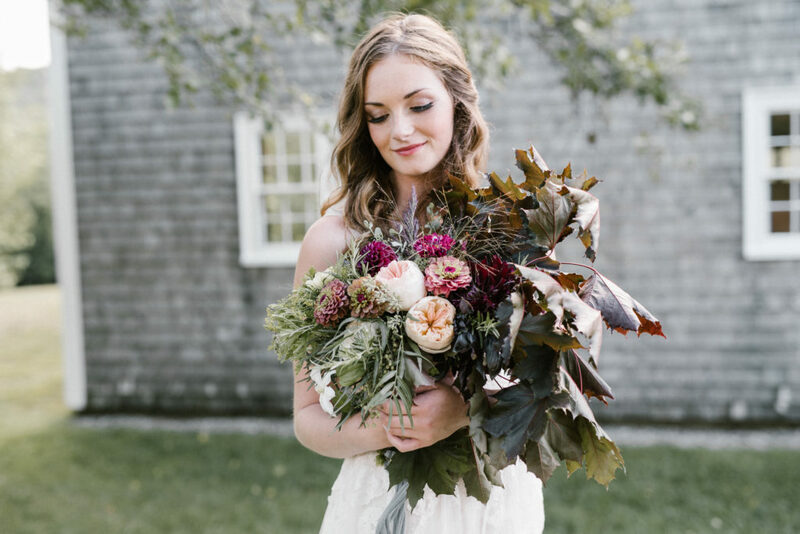 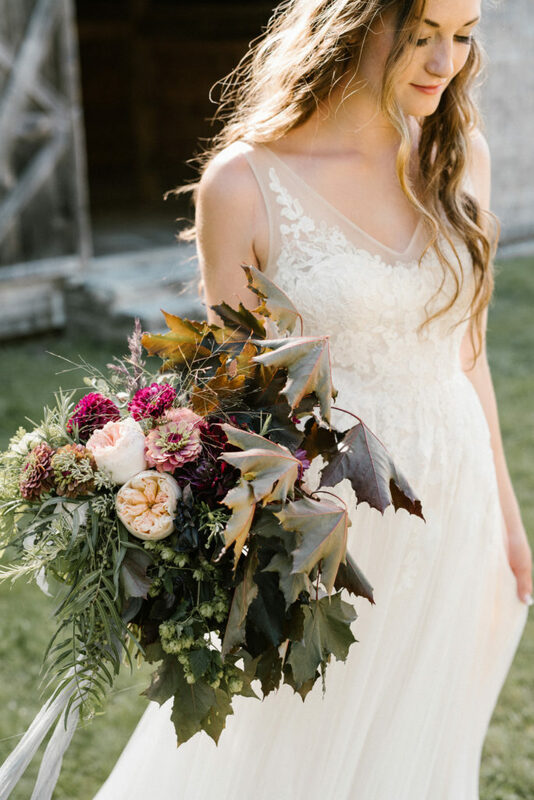 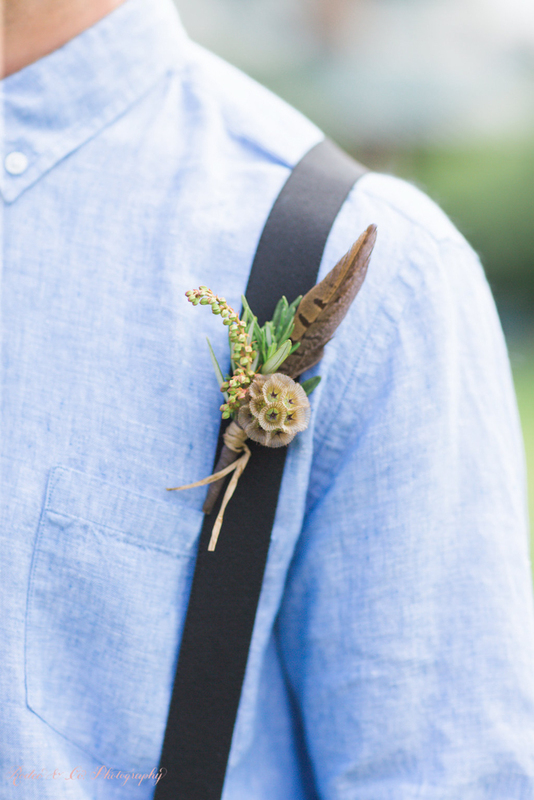 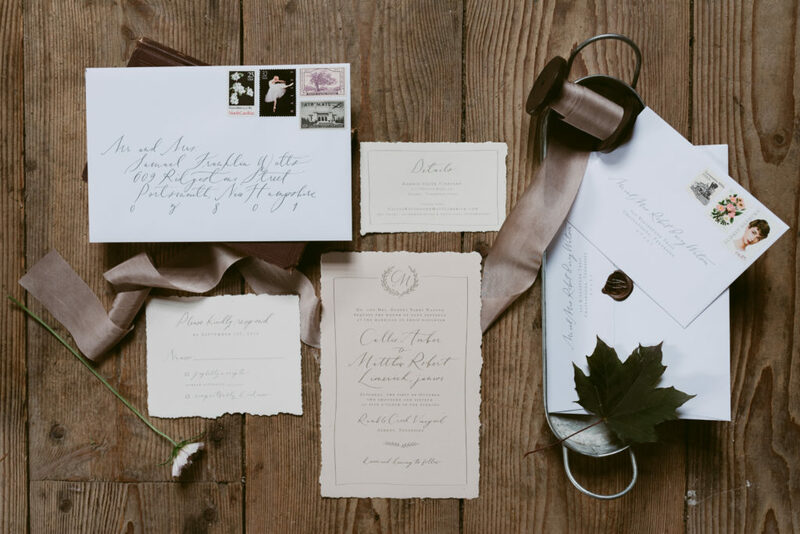 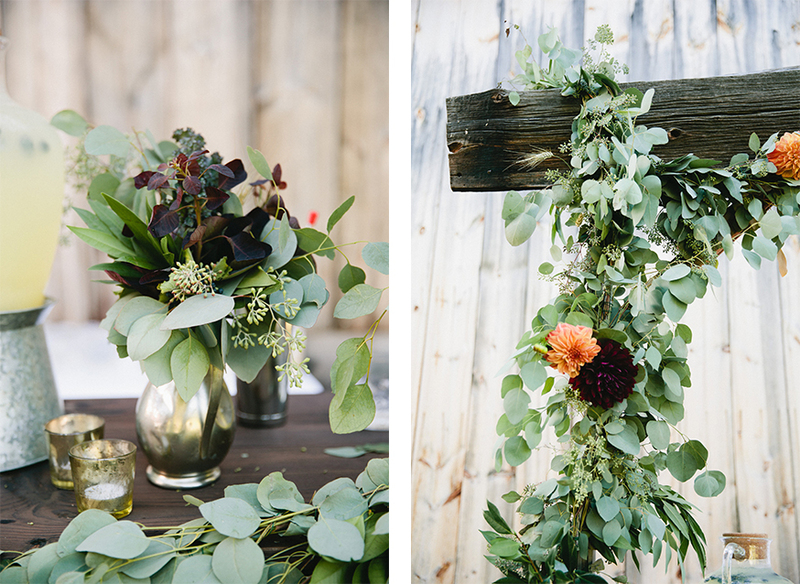 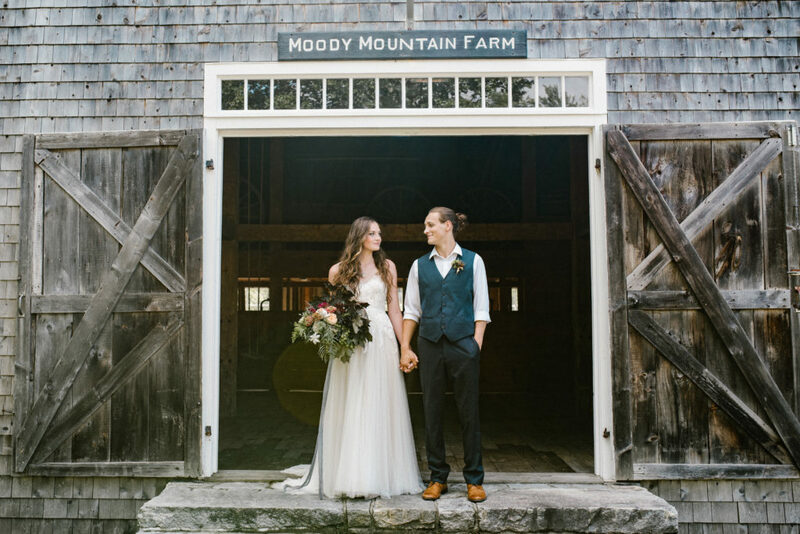 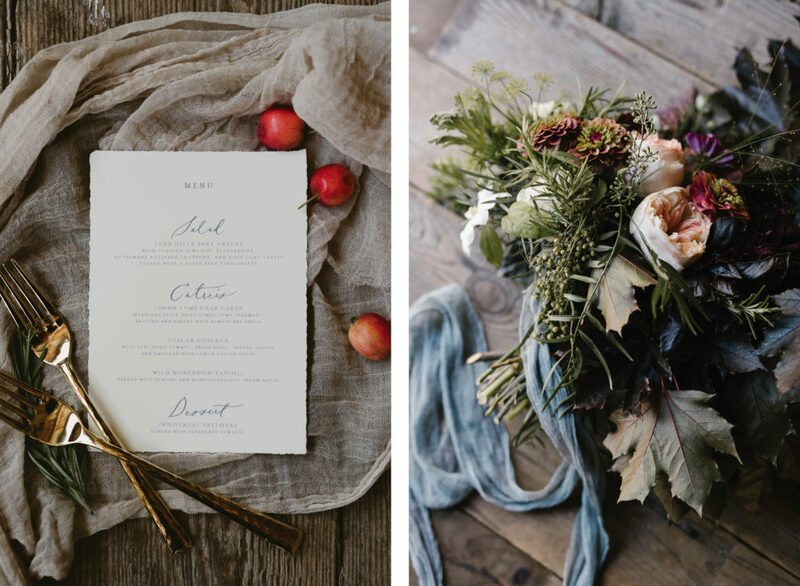 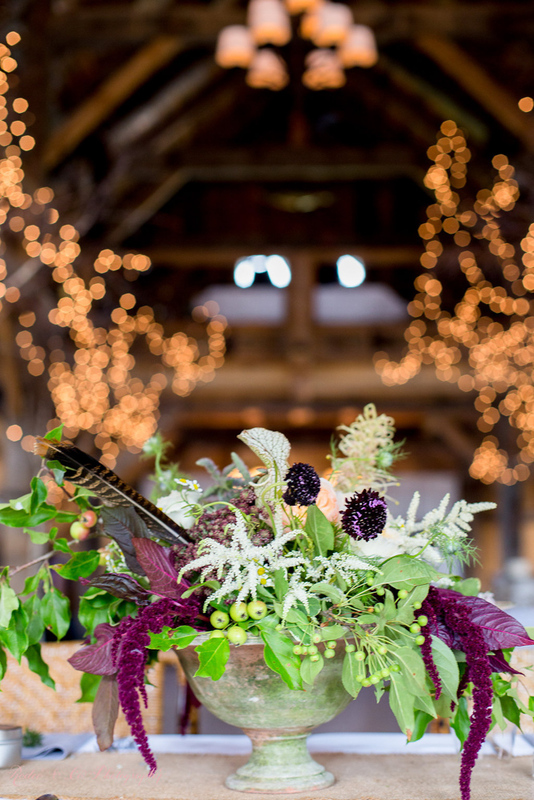 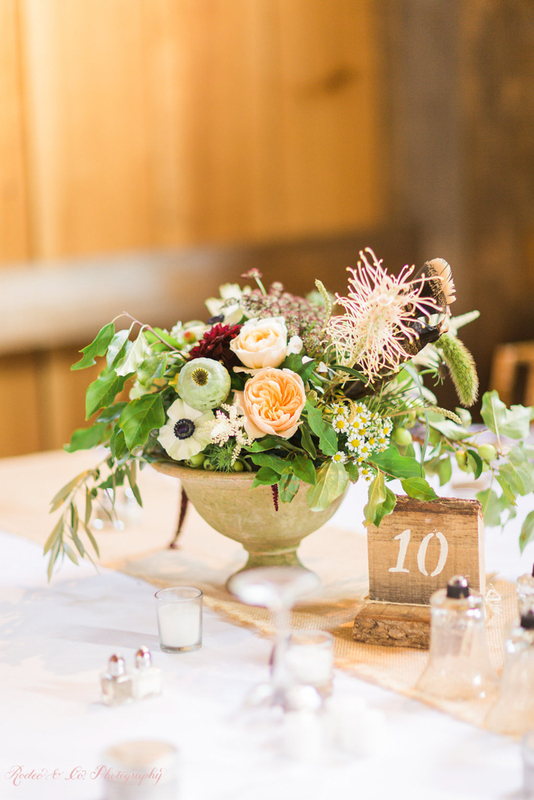 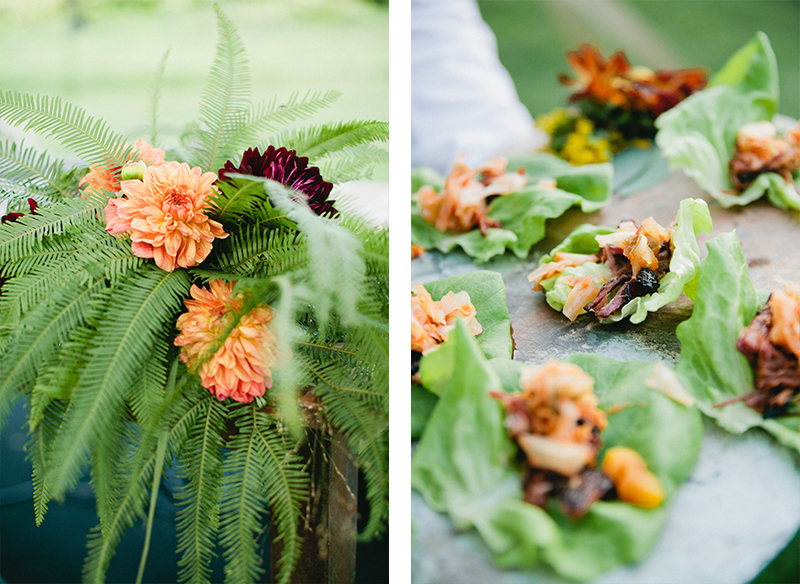 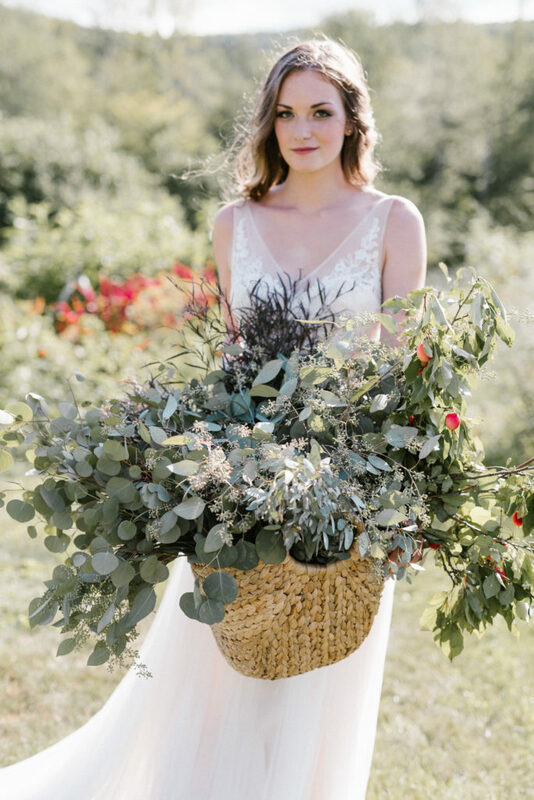 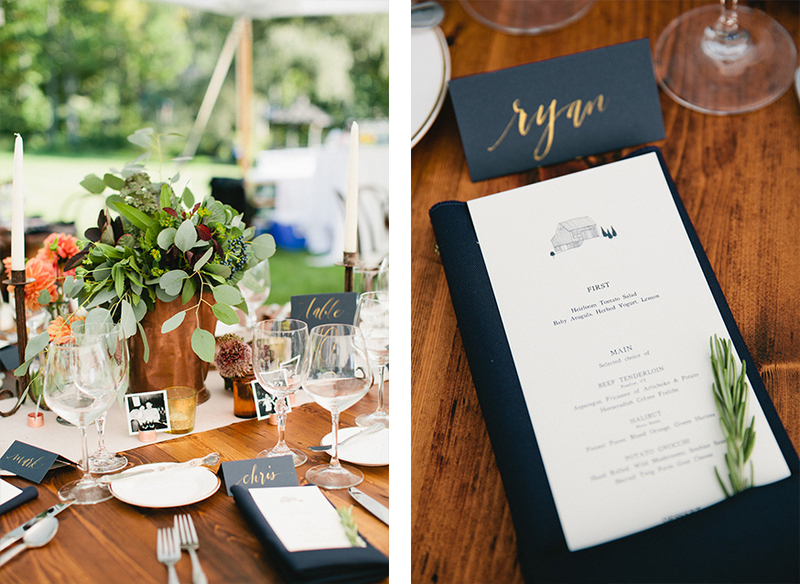 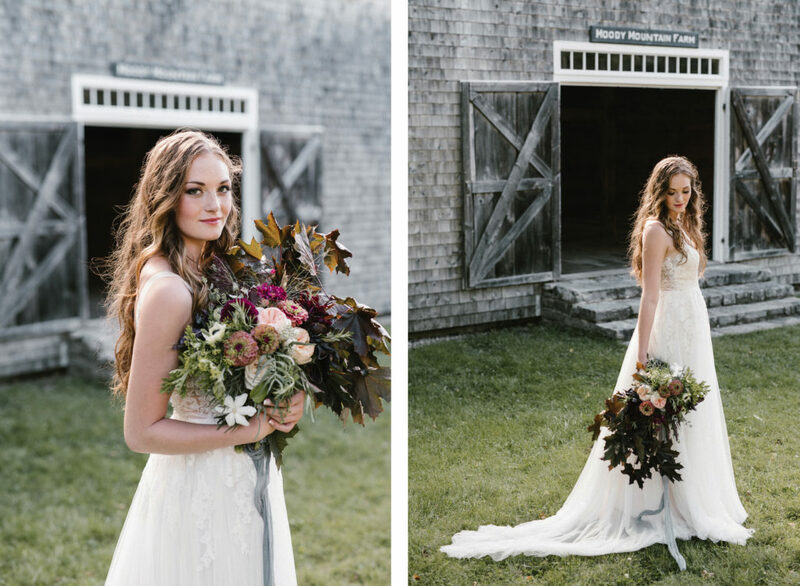 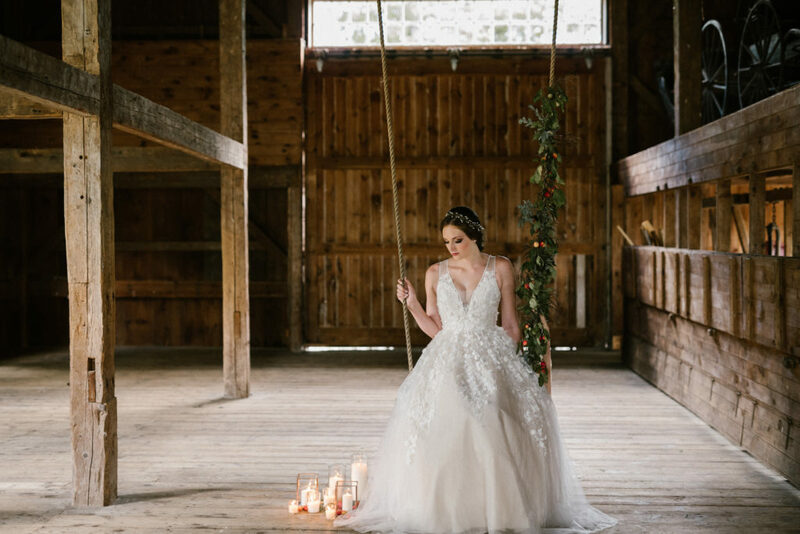 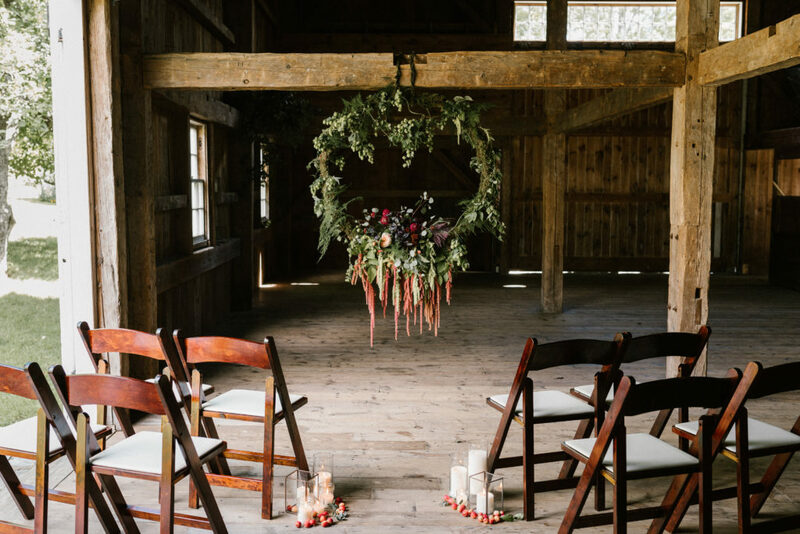 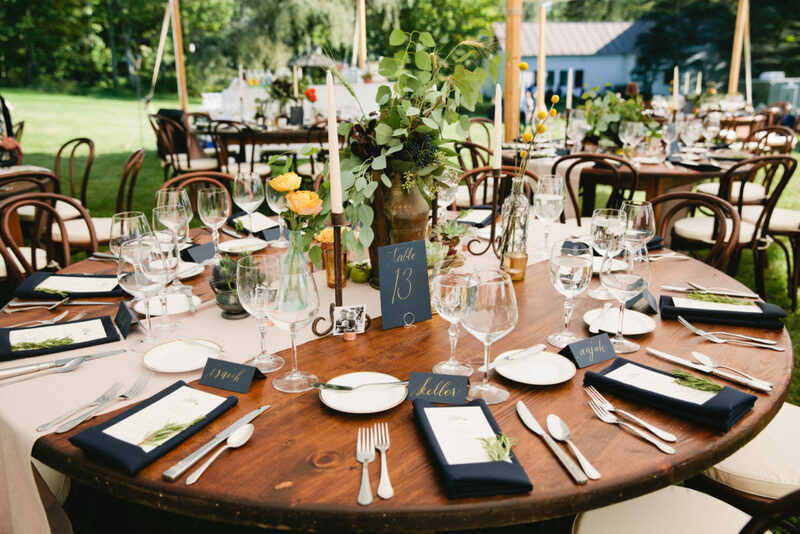 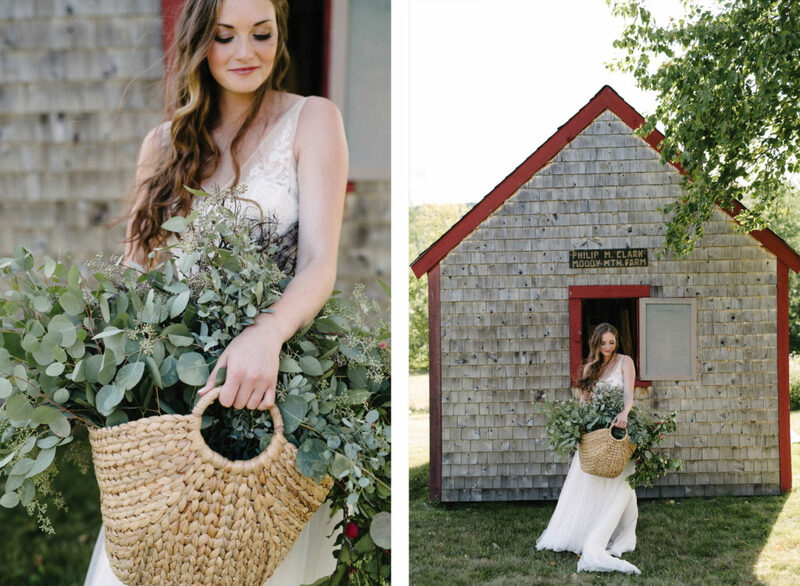 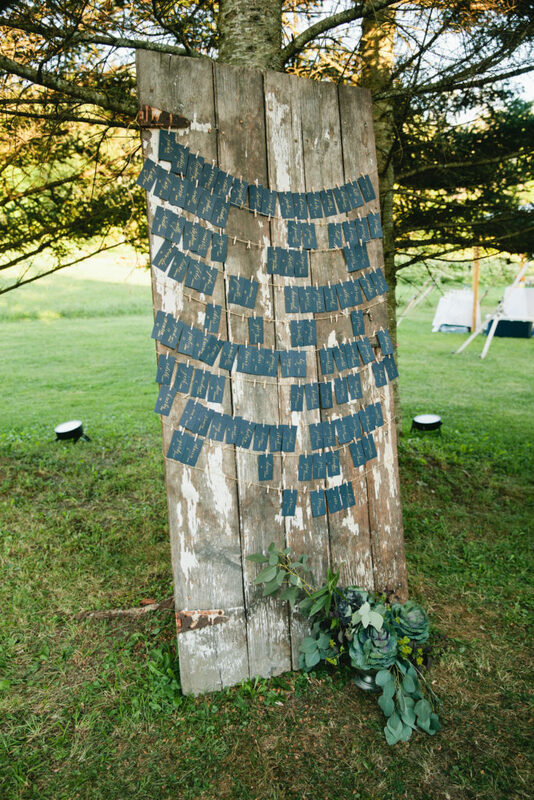 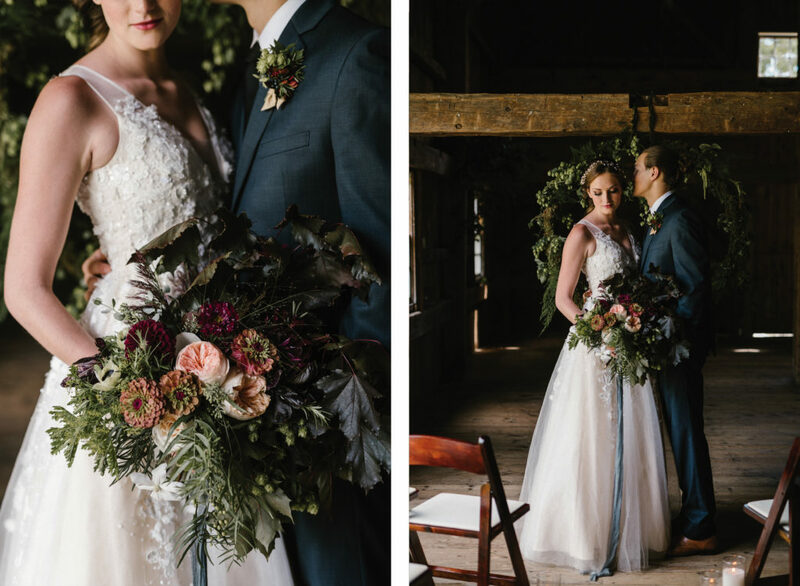 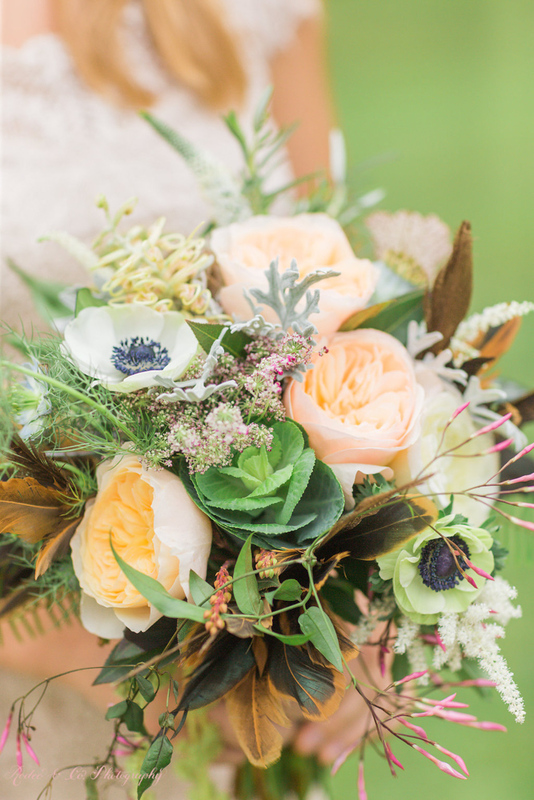 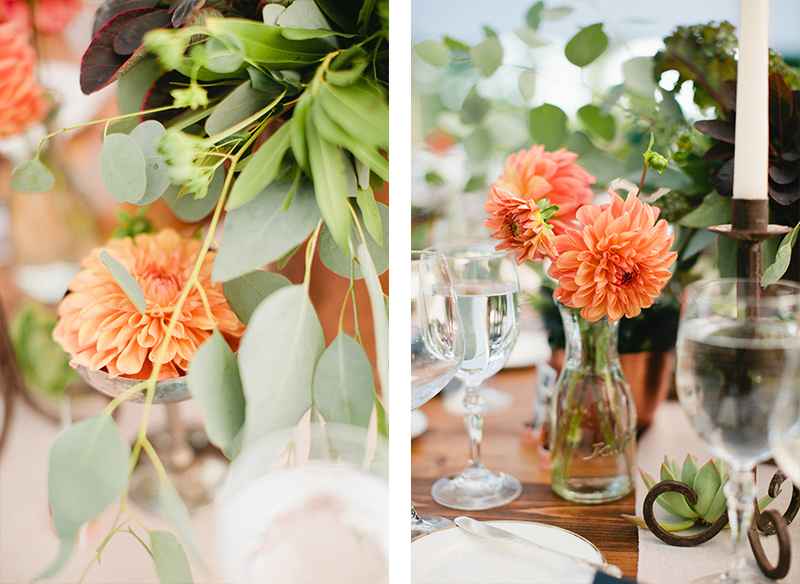 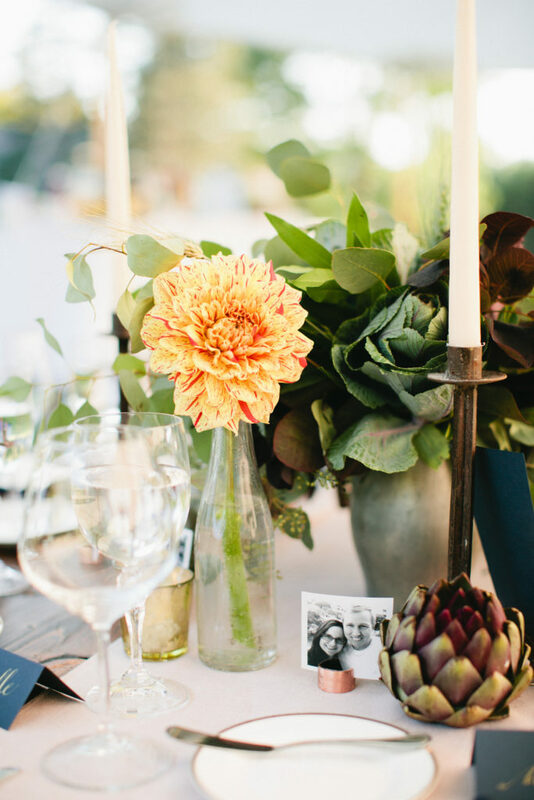 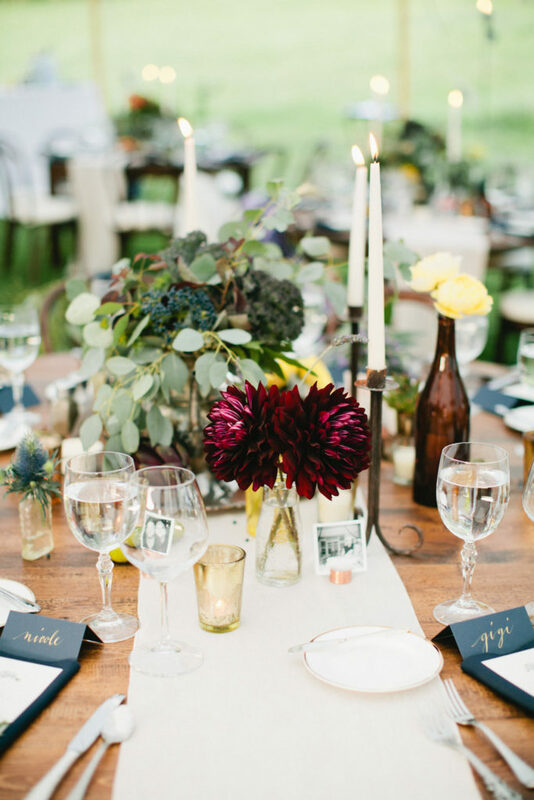 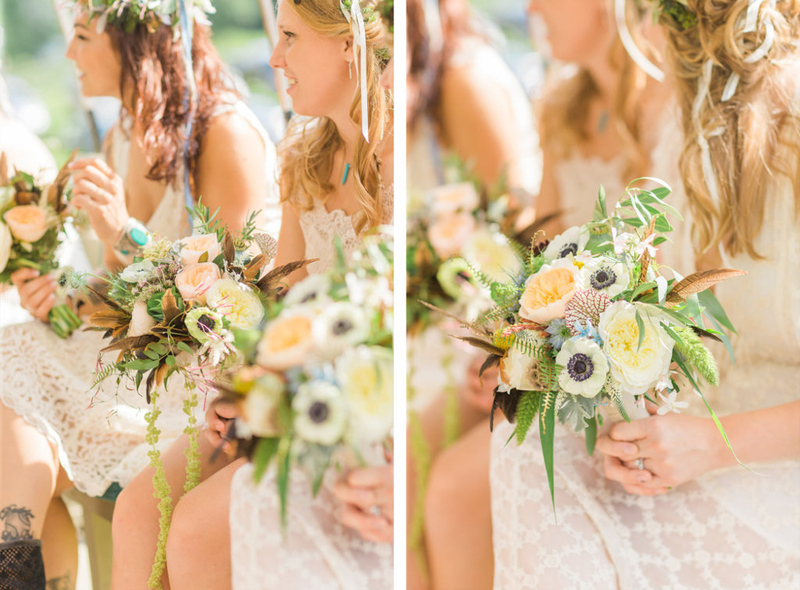 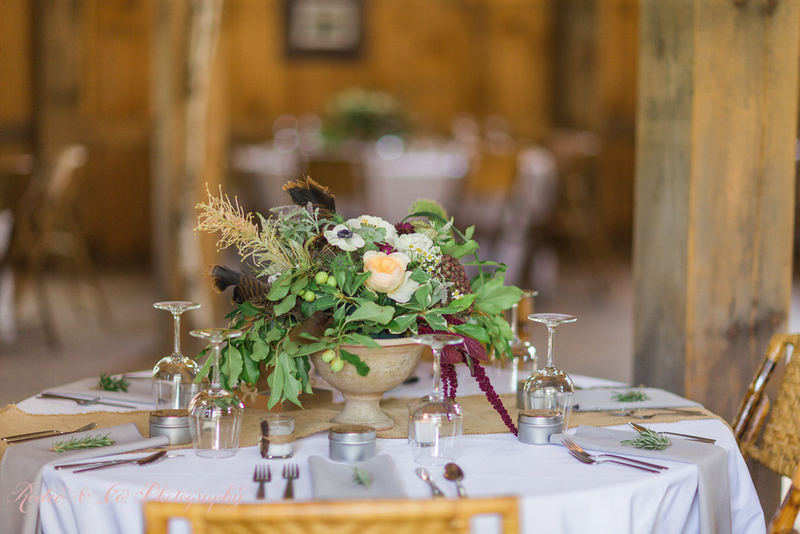 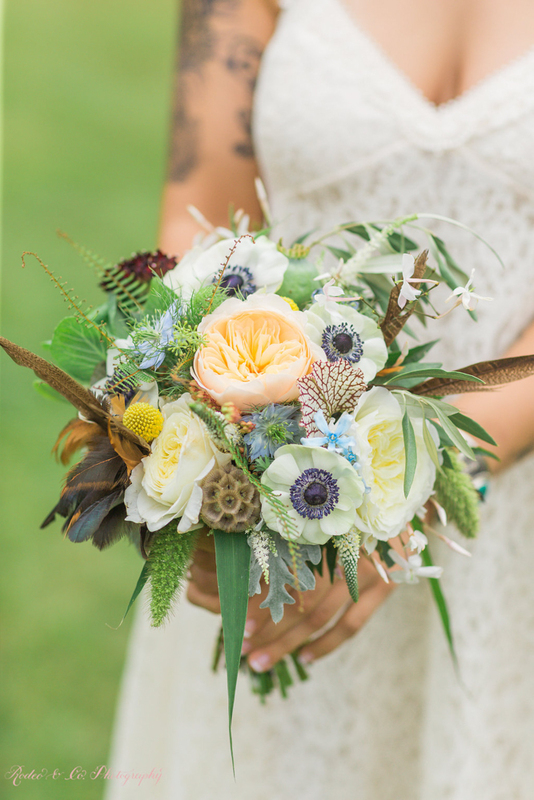 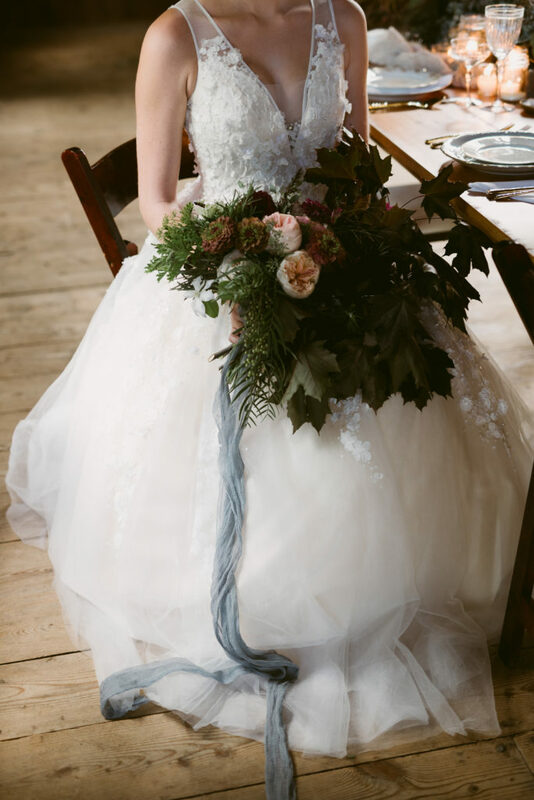 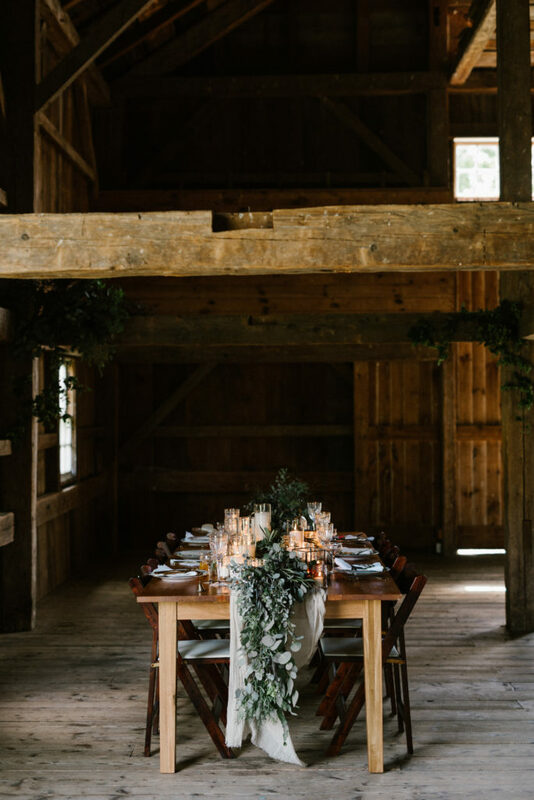 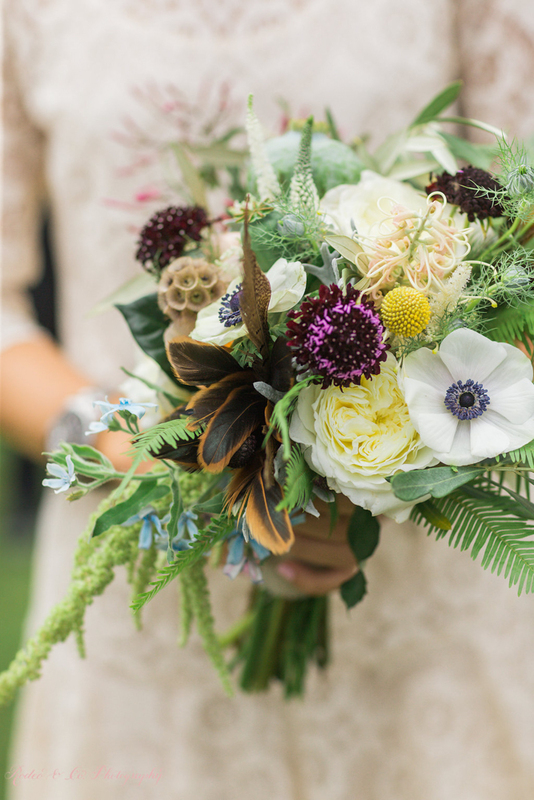 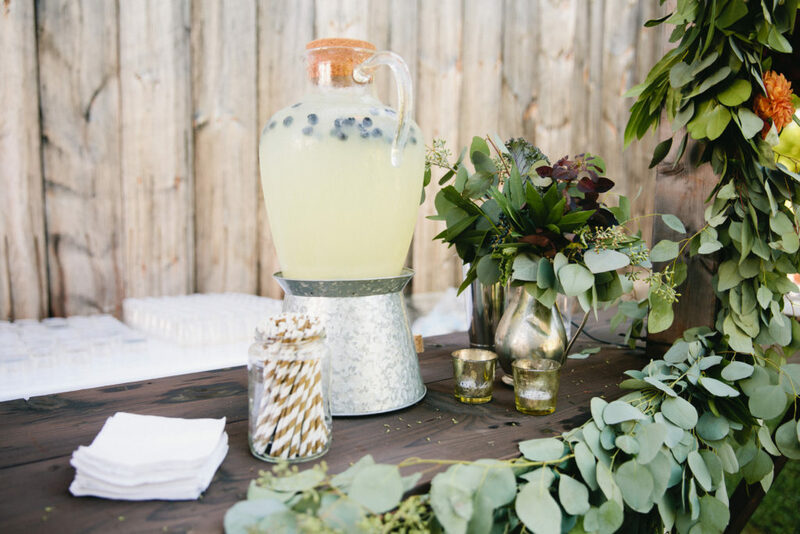 We are so excited to show you our inspiration shoot from moody mountain farm. 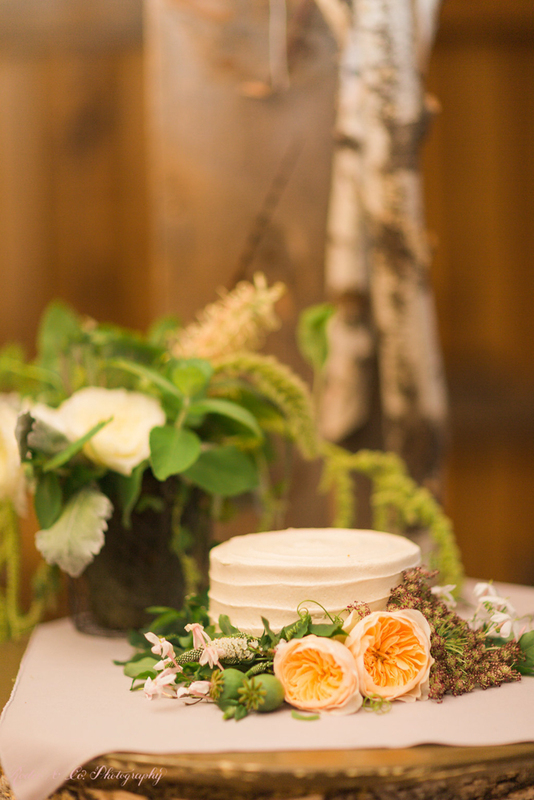 The 2016 wedding season has finally come to a close, and it is definitely bitter sweet. 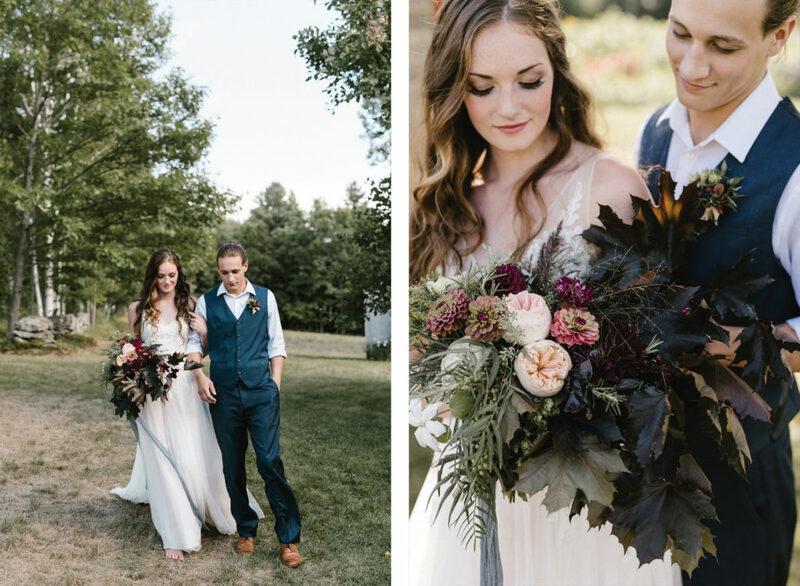 As we plan for the 2017 season, we are finding time to look back at previous weddings (some of them from last summer). 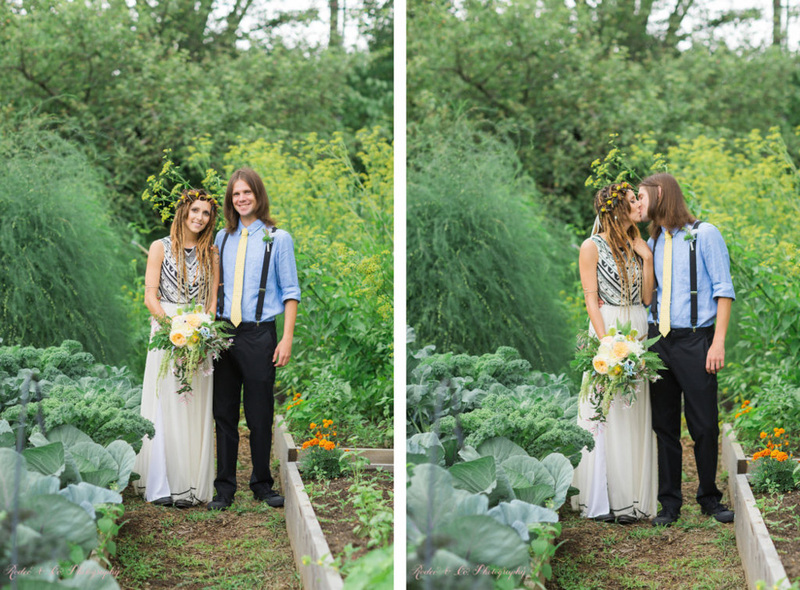 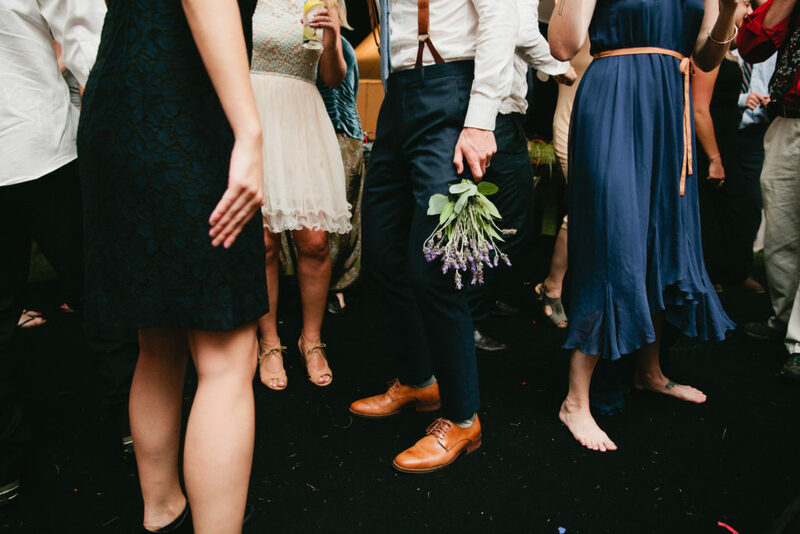 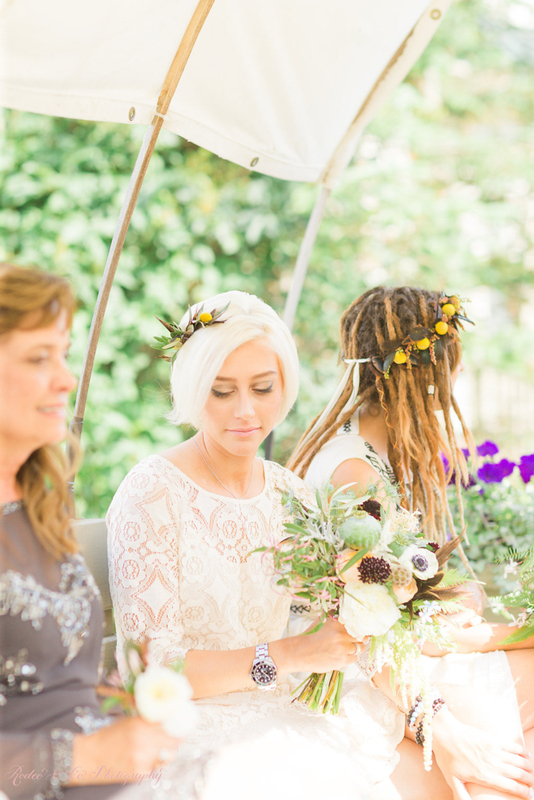 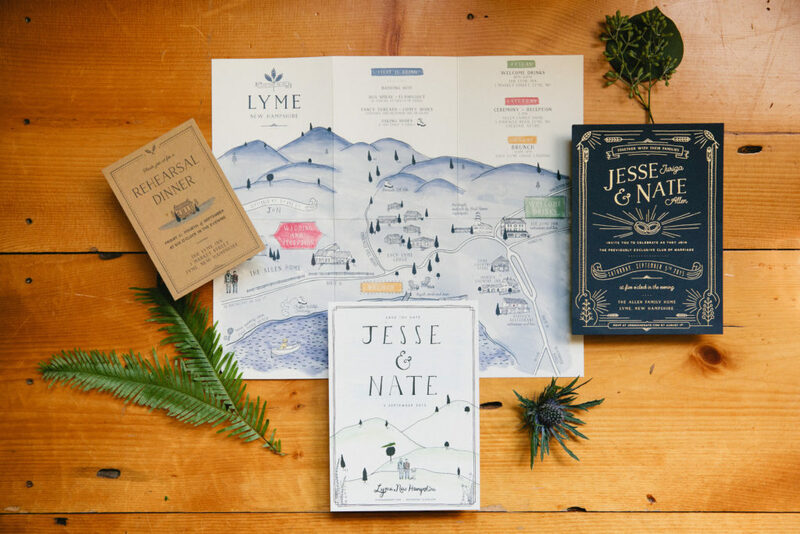 Below is the wedding of Jesse & Nate, which was recently featured on the Martha Stewart Wedding Blog. 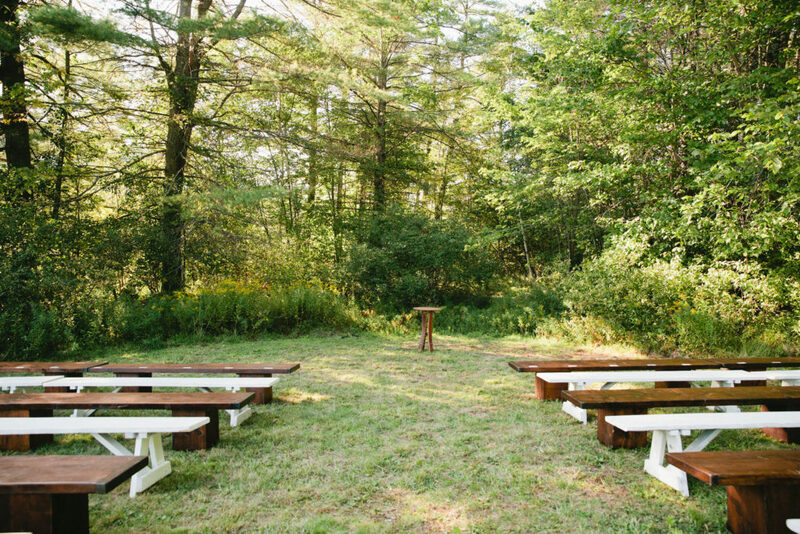 (You can find that here). 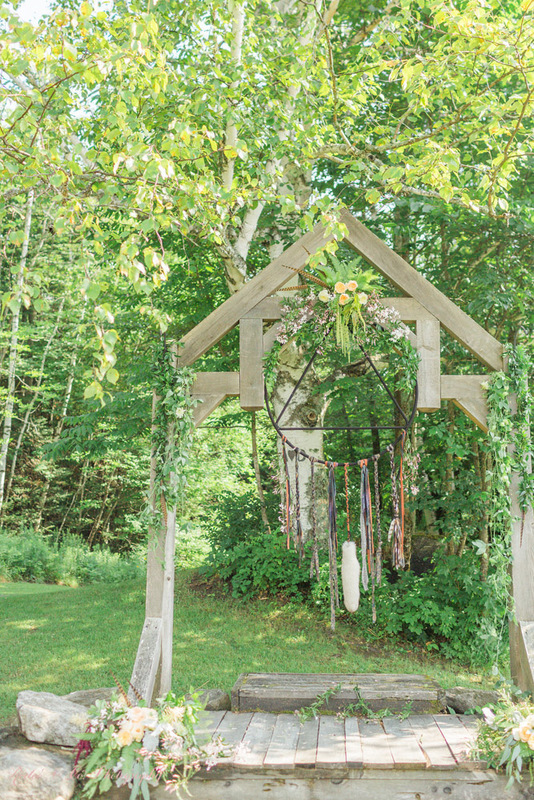 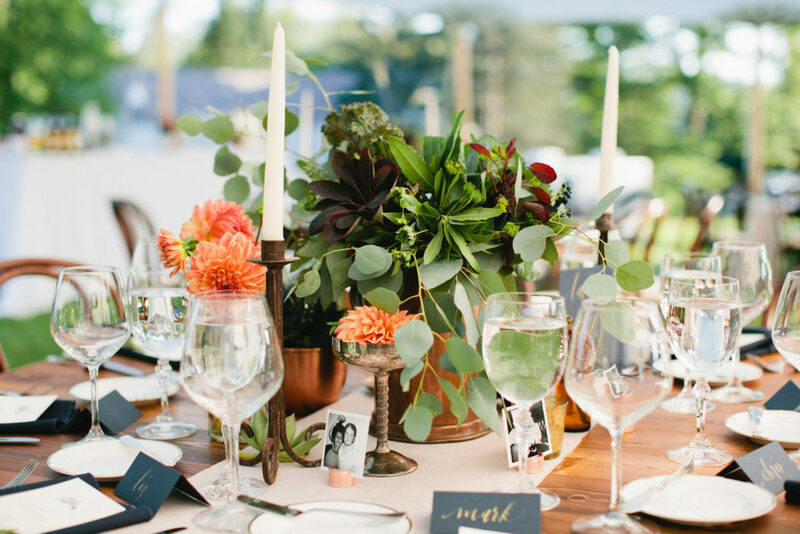 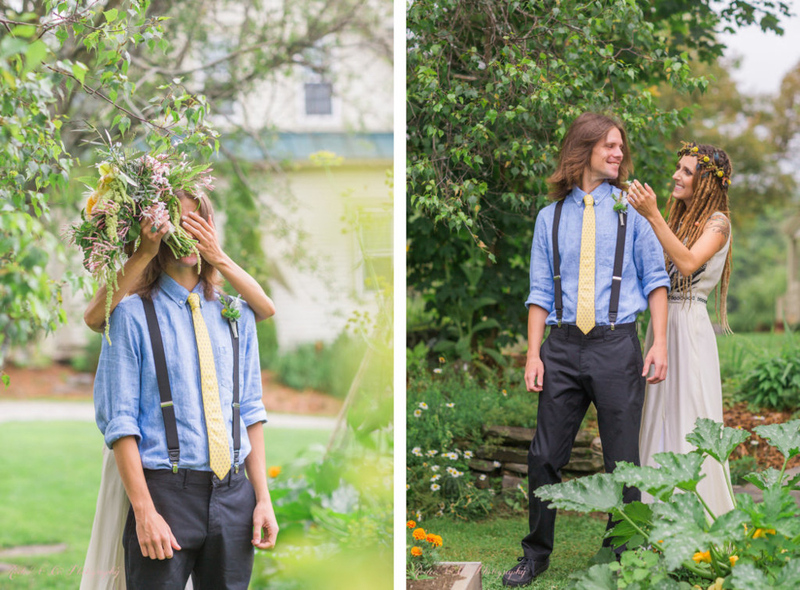 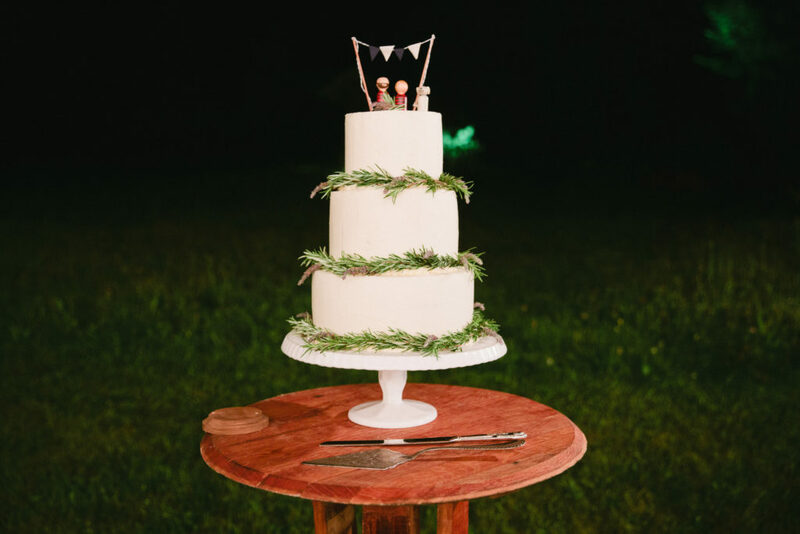 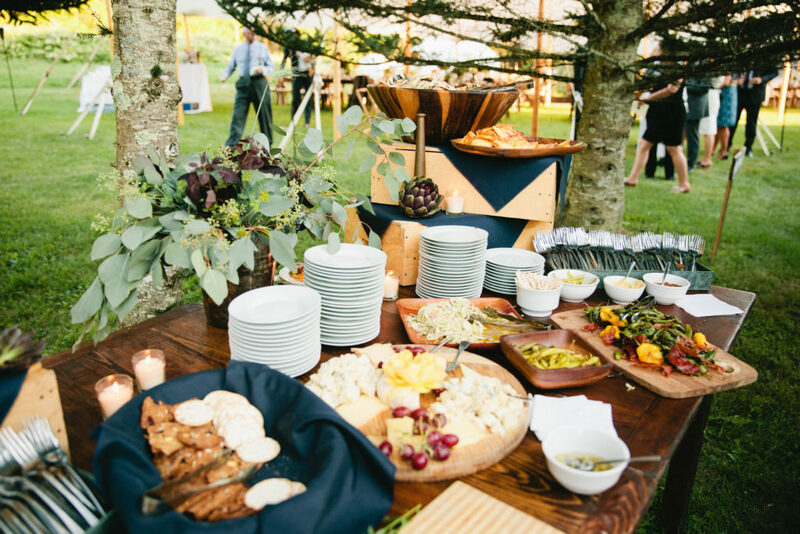 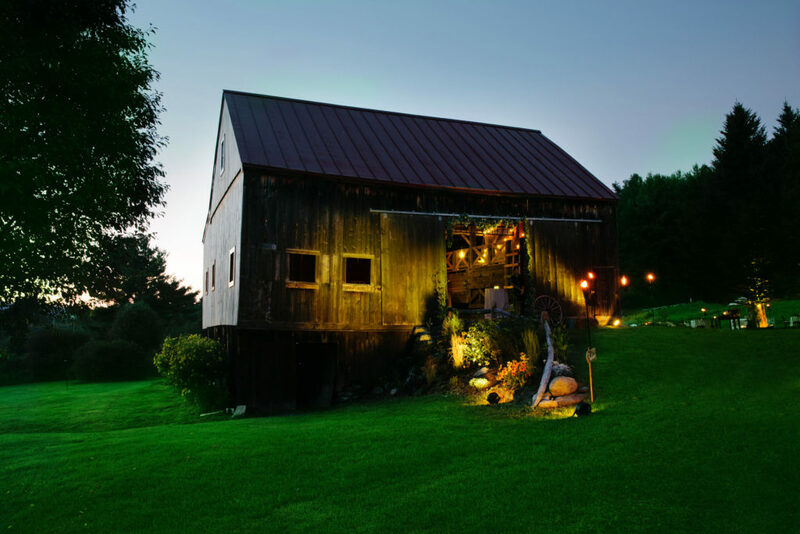 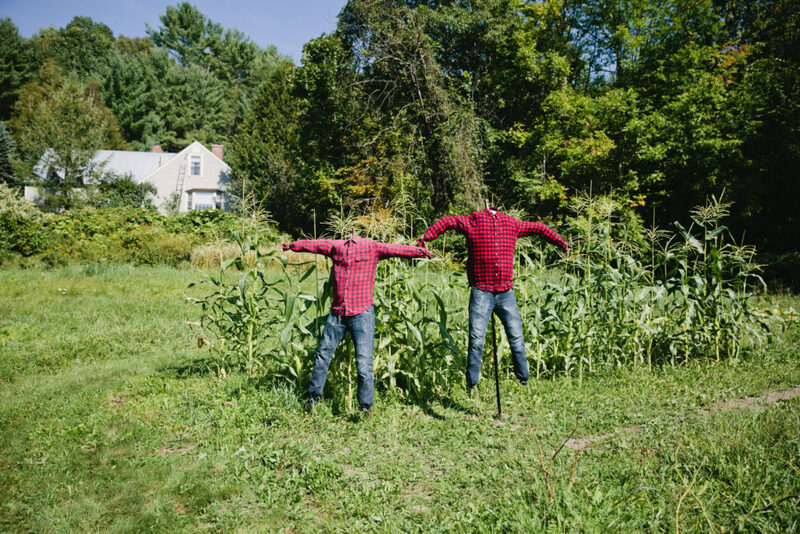 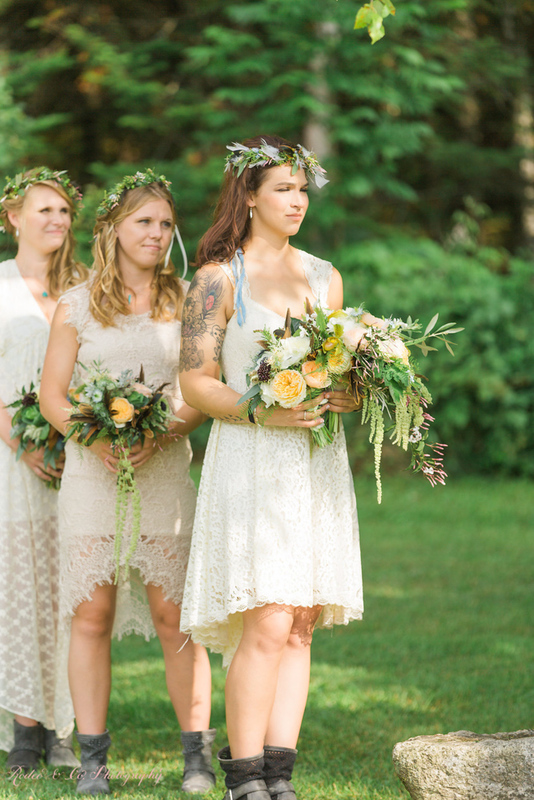 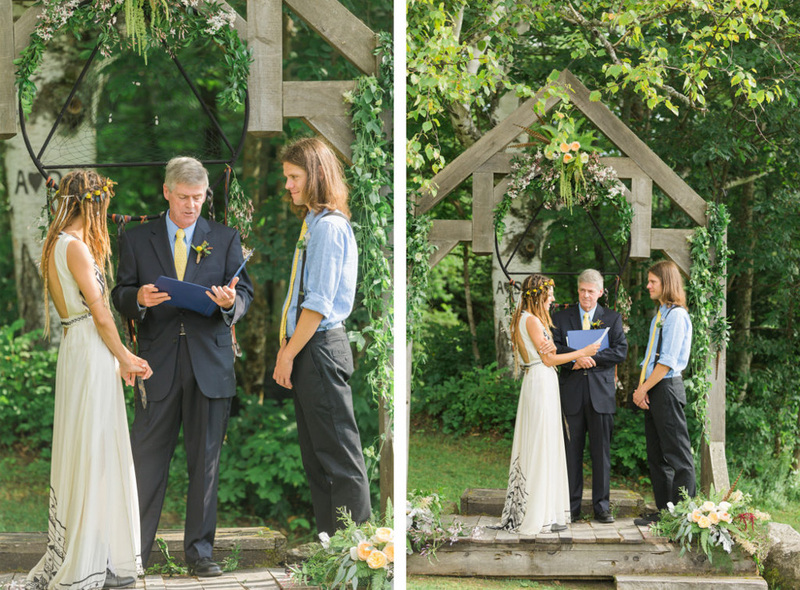 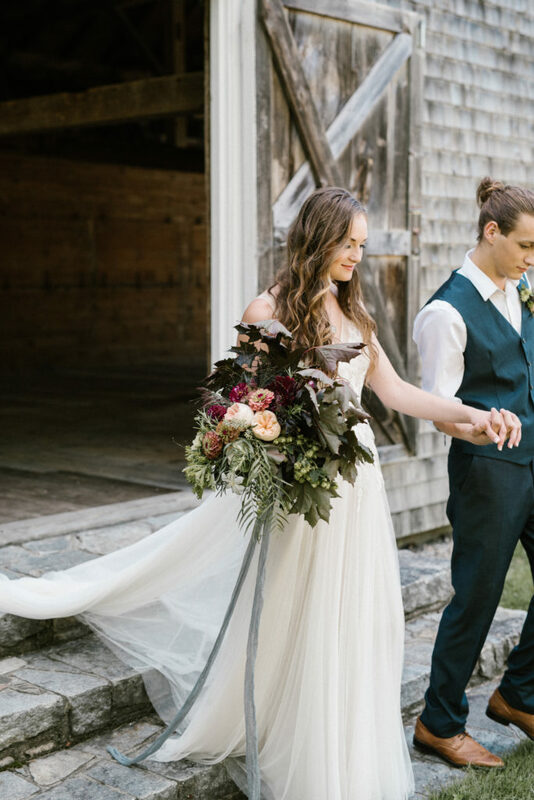 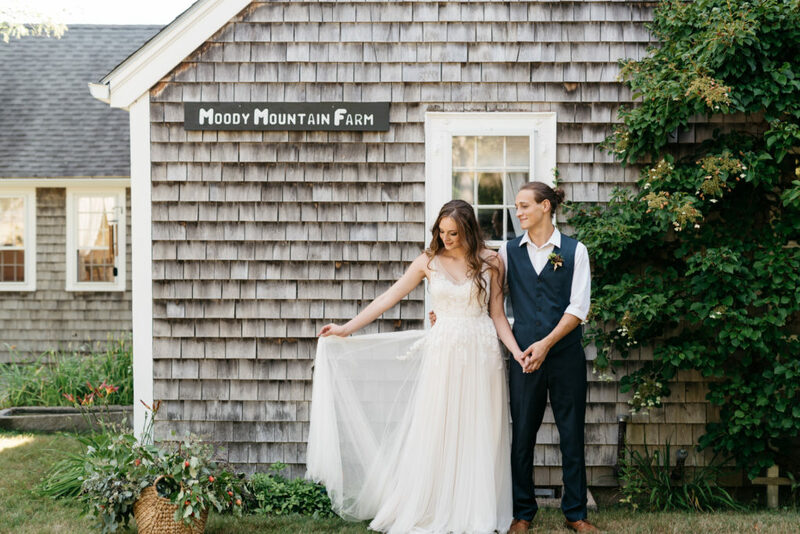 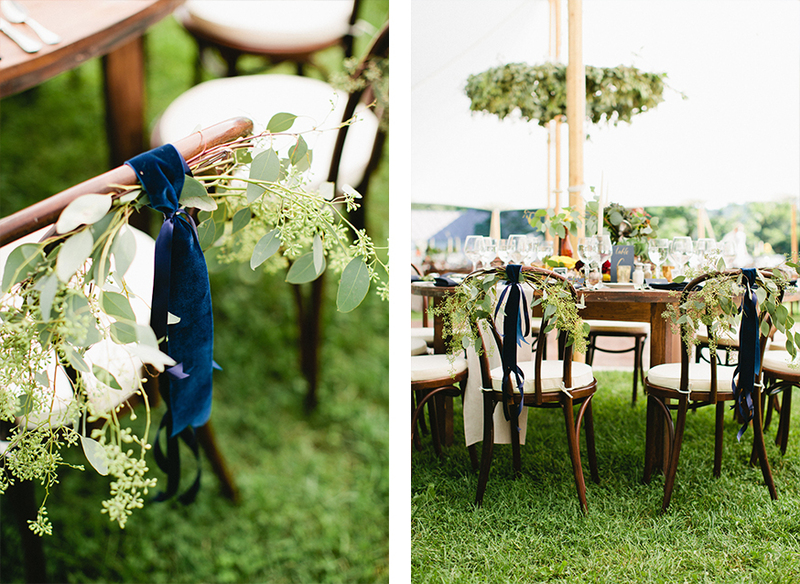 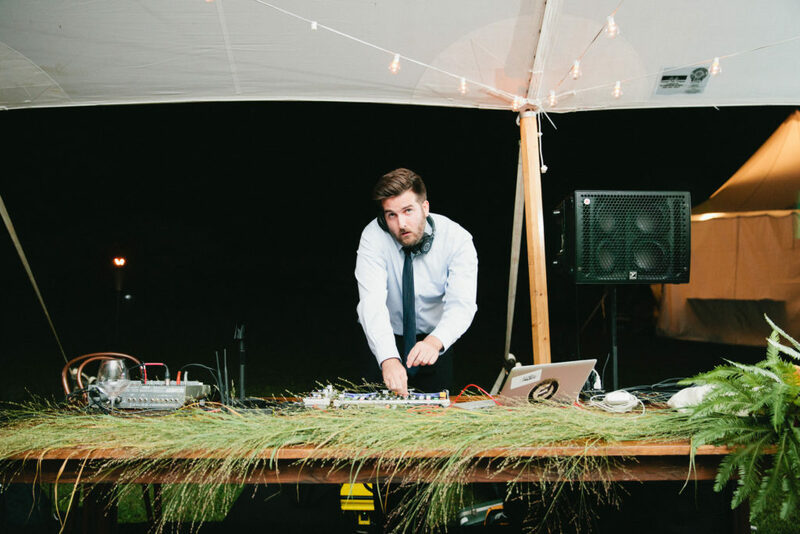 Jesse and Nate got married last summer in Lyme, NH and the wedding remains one of our favorites. 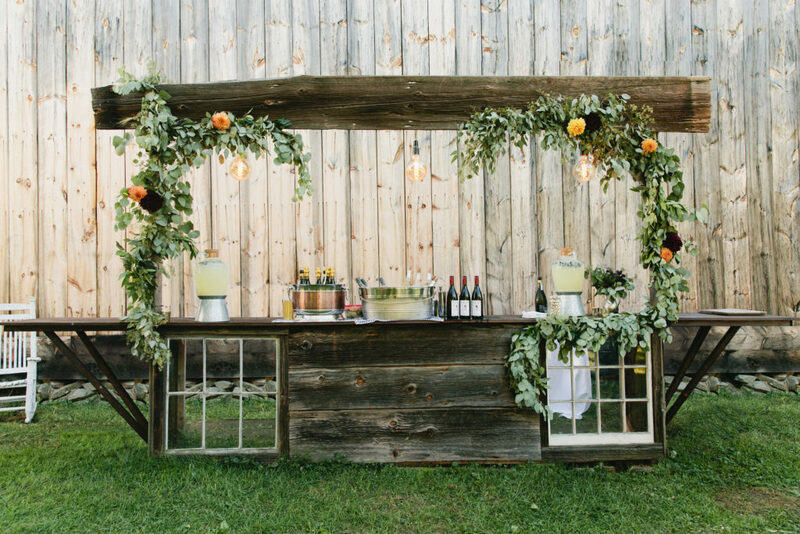 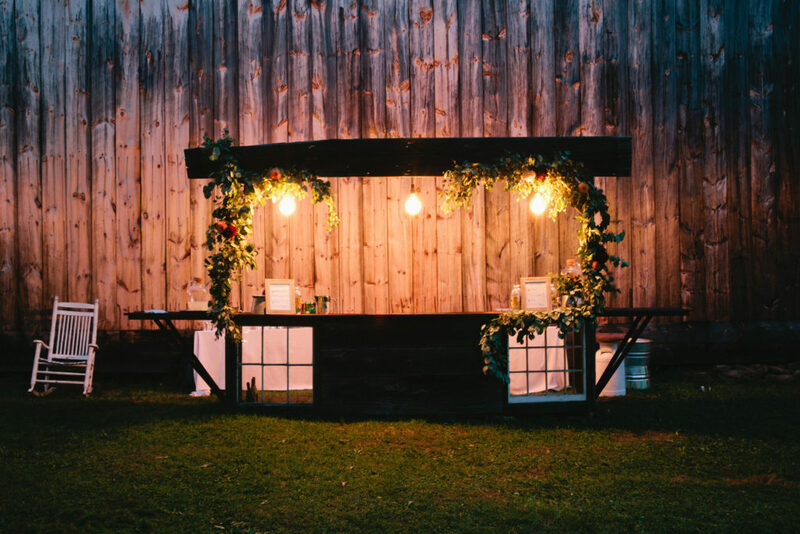 We decorated the custom built barn wood bar with swags of garland, and dotted it with single dahlias of burgundy, orange and yellow. 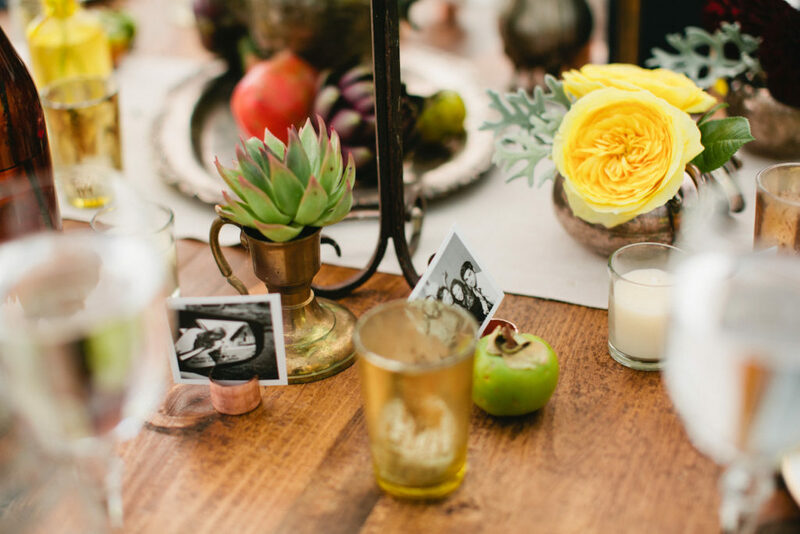 The tablescapes included an eclectic mix of vases and teapots collected by the groomsmen. 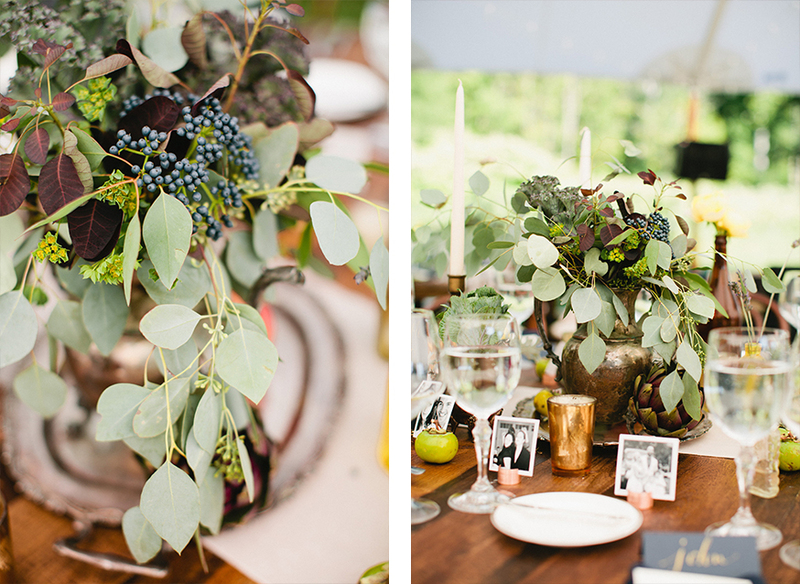 The centerpieces were greens-only, surrounded by details of flowers in small bud jars. 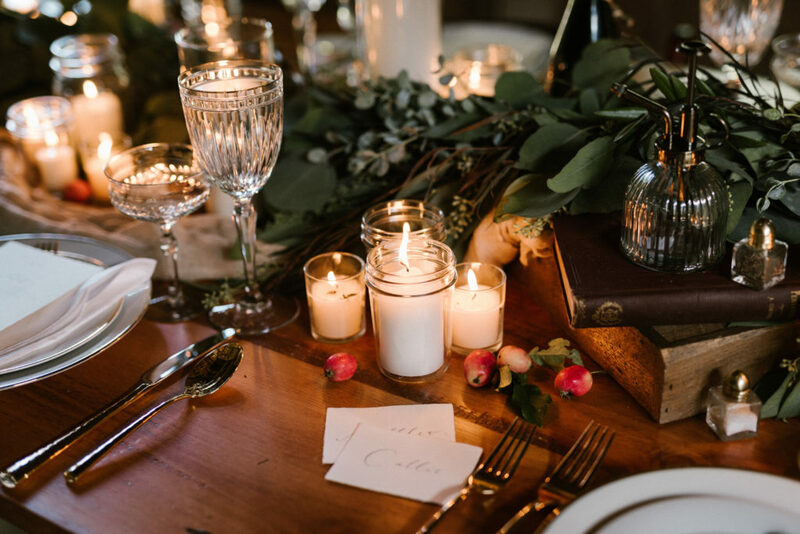 Tapered candles in wrought iron holders and pieces of rosemary on each napkin were only some of the many details that made this wedding so special. 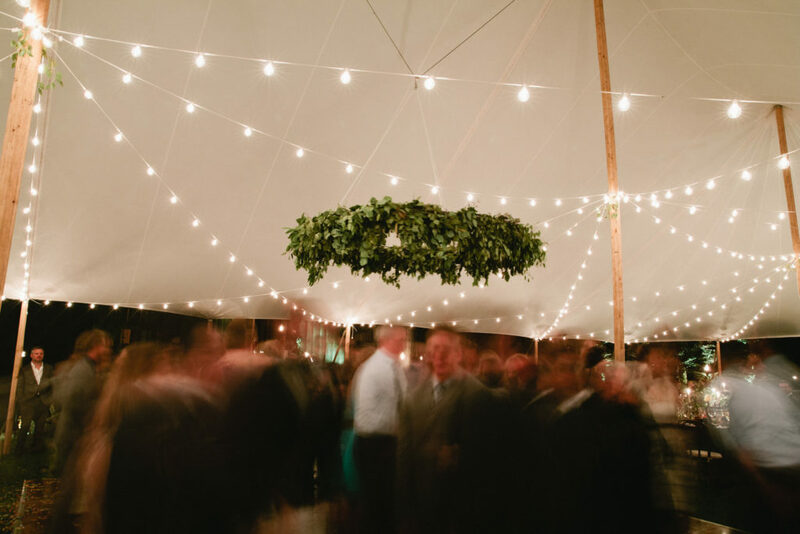 The tent featured a hanging chandelier dripping with eucalyptus. 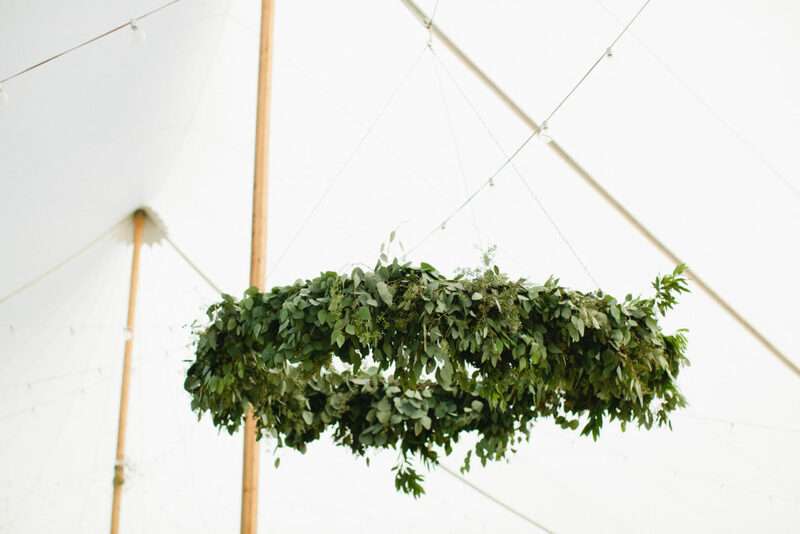 Not only was it a stunning installation piece, but it also smelled like heaven. 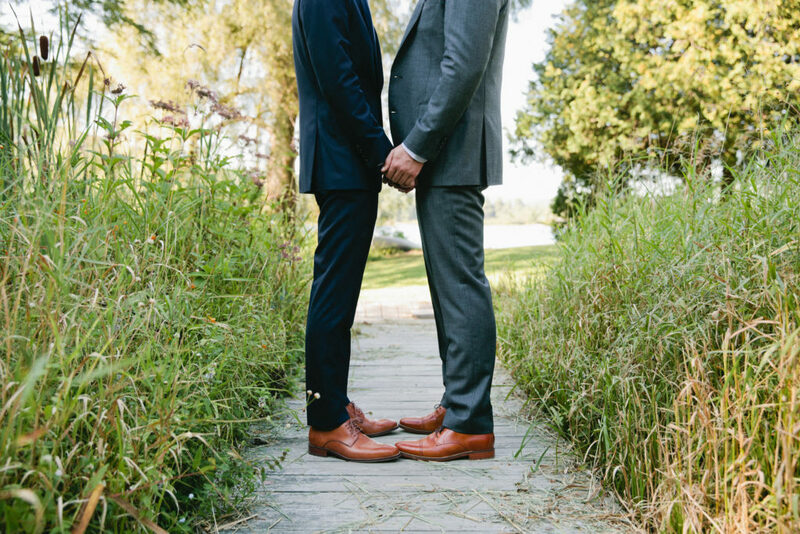 This wedding will remain close to our hearts for years to come. 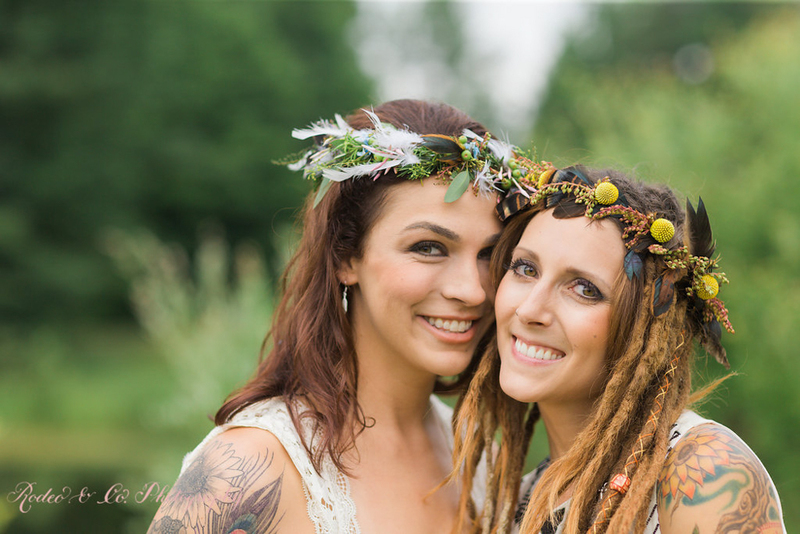 Nate & Jesse Wedding Film from D&D Pro Imaging Wedding Films on Vimeo.